← Thanks for all the concern everyone…but I’ll be okay. Sooner or later. Hard cap, soft cap? I love frozen youghurt. Deron Williams, come back! – AP Econ, AP Calculus, and AP English are actually kinda hard. Like, really. – Work. Booking up with shoots (to clarify, I mean photo shoots, not anything potentially criminalizing). – A loved one passed away from cancer so that has been rough for our family. – I’m only trying to figure out the world’s problems. Like, wuht? Since I refused to talk about the lockout (it’s been too emotionally draining for me), I’ve realized I’ve been at a loss for words. Absolute writers block. But, today when I should have been moving my clothes from the washer to the dryer (I always forget to do that) I sat down at the kitchen table and tried to write a list of things I could chat about. Eh, we’ll see how this goes. Lockout? Yes. Now, I’m not going to take any sides. I think it’s a two way street. No one is going to “win,” but if no one “wins,” no one can lose either, right? However, I do believe that team owners are getting too nit-picky about this whole ordeal. EVERYONE has to take a blow no matter what and at this point it’s inevitable. Can’t we all just get along? As Derek Fisher (of the LA Lakers) fights for unison and patience, he has also brought up in his arguments that without the players on their side, the owners really have, well, nada… Yes, that is common sense. Who’s going to play if the players aren’t playing? But there is so, so much more to it than solely a lack of a team. The NBA is a business- a big, fat, business. Theses franchises only work because the players are out there receiving endorsements and getting people to follow them, getting people to come to their games. 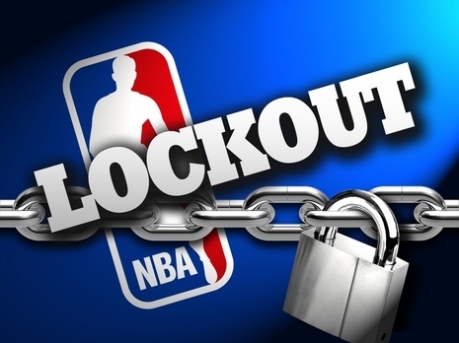 As you may or may not know, this lockout is making the move overseas a much bigger option- and people are taking it. Ex. Deron Williams to Turkey. And as of right now, he’s got 59 guys who have either joined or might be joining the “let’s jump the boat” club. This is no fun. It’s like watching my home fall apart piece by piece, player by player, team by stupid team. Supposedly the players’ union has offered to reduce its percentage to as much as 54%, with the condition of the agreement that a system would be put in place to reward the players if revenue increased when the season actually started. The owners agreed to try and come up with a solution to avoid a hard salary cap by the next meeting, but last year they lost about $300 million. So we’ll see how “soft” that cap can actually be.